Kathy is a true southern belle, from Tallulah, Louisiana, who just happens to be “blooming where she has been planted in Rockwall, Texas! Never one to stray from her roots, her appliqué work blends “all things Baltimore "with the lush and rich fauna of the Deep South. Kathy began quilting in 1987, but discovered appliqué in 1993, with her first appliqué project – a year and a half long Baltimore Album class, which featured a book by Elly Sienkiewicz. As Kathy has been quoted, “I truly discovered the joy that was missing in my quilting when I discovered the album quilts.” She fell in love with Elly’s methods and along the way, mapped out her own fun path. She never hesitates to “embellish, enliven and embolden” her appliqué. Beads, trims, ribbons and “findings” all find their way home into her work. “Anything goes, if it makes your heart beat faster!” she excitedly proclaims. Kathy, has been involved since 1987 with fabrics, designing, teaching and the retail end of things, owning a hand-designed clothing boutique and then for many years, The Quilted Peach in Valdosta, Georgia. She has been teaching quilting and applique classes since 1995. She was honored to have taught for five glorious years at The Elly Sienkiewicz Appliqué Academy, an incredible gathering of appliquers that existed for 19 short years. Kathy and her mother, JoAnn Hudgins, have TQP Design Co. and are busy with a whole host of patterns and plans. Kathy is deep into designing a southern “Baltimore "which features a stately plantation home center medallion, called “Brokenburn –a Tribute to Kate Stone”. 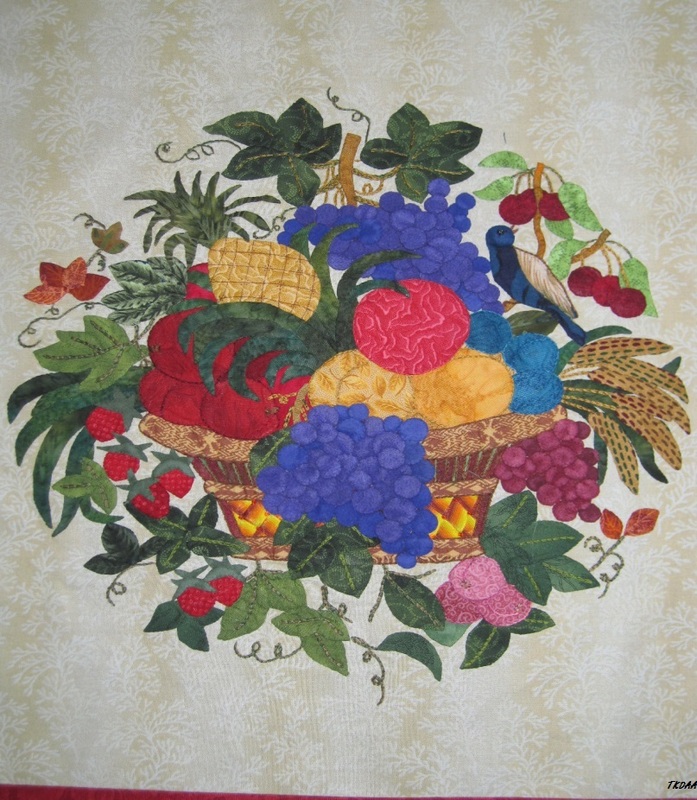 Her recent quilt, designed in tandem with her mother, "Symphony of Blue Wreaths” is available in pattern form and features Kathy’s trademark use of embroidery, beads and fabrics of many types. 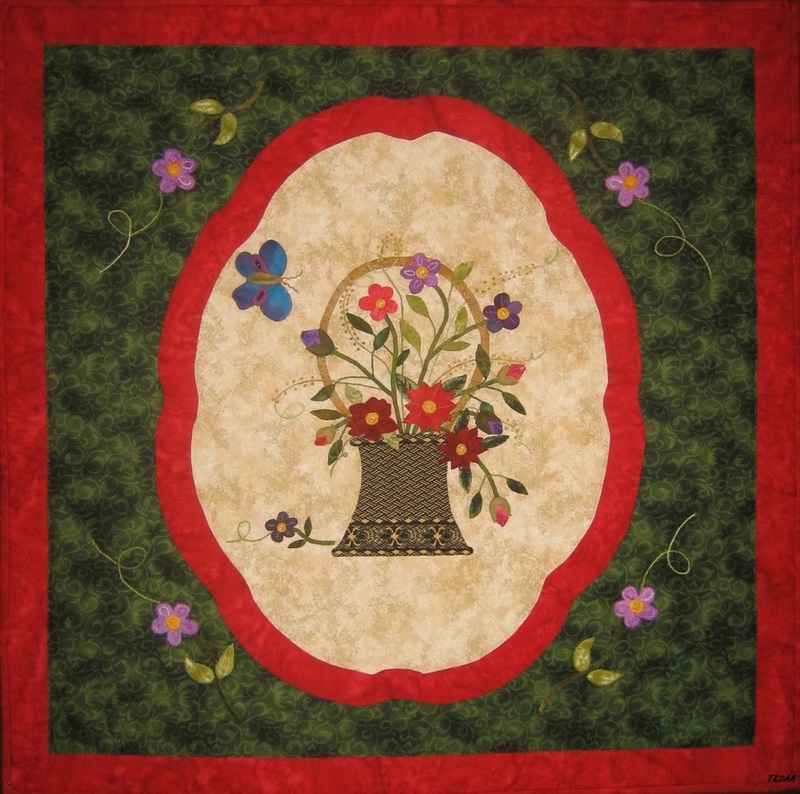 She has a sister quilt that is in progress that they designed together, called, “Rhapsody of Red Vases.” And of course, now Kathy and her mother, JoAnn have begun the Kathy Dunigan Academy of Applique in Rockwall, Texas. She is thrilled that the legacy that Elly started can go on! Kathy is a true “people person” who derives her satisfaction from teaching new to advanced students, and considers every student a friend. Her classes are packed with interesting, time-tested methods with a twist. She will show you some grand “shortcuts” such as “Kathy’s skinny stem technique” and “no mark appliqué” to her clever way to weave those intricate Baltimore baskets, all while enjoying a festive atmosphere. “I love all things ‘Appliqué’ and I can’t wait to join you on your journey, as a beginning student or as an appliqué expert looking for something new. I can’t wait to meet every single attendee, old friends and new! Join me for a class and we will stitch a breathtaking pattern so you can introduce it to your block collection or feature it in a wall hanging. Kathy and her husband, Matt, both Louisiana Tech Alumni, celebrate 34 years married and three beautiful children, Dane, Madison Leigh and Dolan.